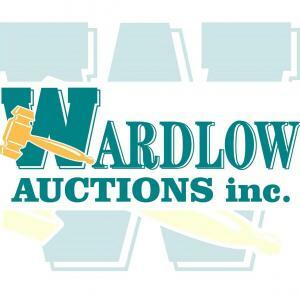 Wardlow Auctions Inc. is a full time auction company engaged in the marketing and sale of real estate and personal property by auction. The auctioneers with Wardlow Auctions are licensed to do business in the States of Kentucky, and Indiana. Their clients include numerous individuals, attorneys, banks, municipal agencies and the U.S. Bankruptcy Court. The four principle auctioneers in the company have a combined 90 years of experience in the auction business. Featured items include a vintage Rolex Explorer watch, 50+ fine jewelry pieces, Charley Harper print, mid-century furnishings, collectible Steuben glass, sterling silver, and more. Professional commercial photographers are moving and selling photography lighting equipment, CAT forklift, pallet racking, office furniture, tools, and modern and vintage props. Absolute Online Estate Auction - 3 BR brick home off Goose Creek Rd. with a master bedroom, family room, 2 fireplaces, and a 2 car garage. Needs extensive repairs. Estate Auction - Home & Contents in Schnitzelburg! What People Say About Wardlow Auctions, Inc.